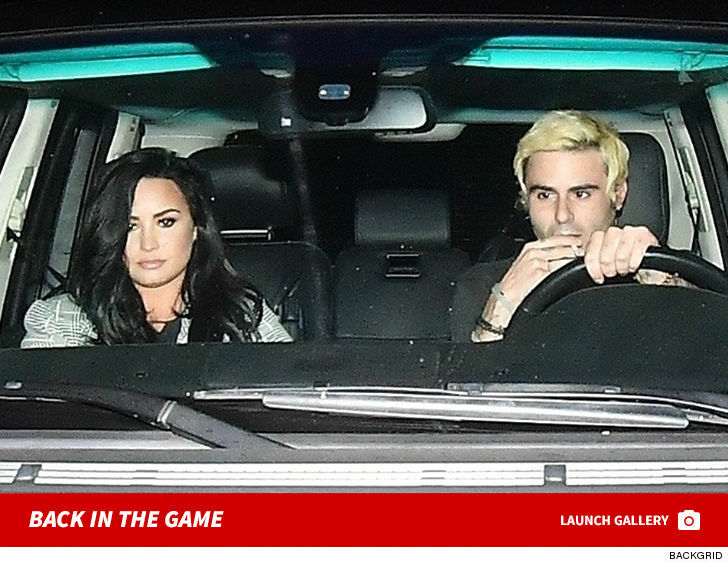 Demi Lovato is back in circulation … apparently out of rehab and looking clean, sober and generally great. Demi hit up Matsuhisa restaurant in Bev Hills Saturday night. We’re told she and a guy were having a great time inside the super expensive sushi joint, happy, smiling and laughing through dinner. We don’t know who the guy is … but she definitely had a great time with him. Lovato was in rehab for 90 days. TMZ broke the story, she almost died on July 24th after OD’ing at her Hollywood Hills home. She was hospitalized for 10 days and went into rehab at the beginning of August. Demi was also spotted at a Beverly Hills spa over the weekend. Our sources say she has taken this rehab stint very seriously, and her sobriety is everything. Demi was in a downhill slide for months before the OD … and it wasn’t the first time she fell off the wagon. But rehab experts will tell you … most addicts fall off the wagon. The key is regaining sobriety and trying to maintain it.